Mcleans Windows has been trading and installing windows in Oxford for over years and have a team of dedicated staff who are here to assist you throughout your new home improvement and window purchase. All our windows customers receive a written 10 year guarantee and full after sales service. 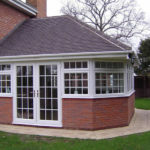 Our aim is to offer the best uPVC windows available in Oxford with the most professional advice, service and unbeatable standard of installation. We cannot be beaten on reputation, quality and the service we offer. 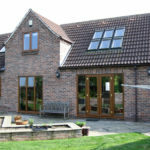 Our windows can be enhanced with authentic and traditional looking Georgain bars in Oxford. Internal bars can be placed between the two panes of glass providing an economic Georgian window solution. 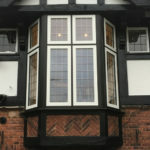 Our windows can be enhanced with authentic and traditional leaded design. Standard square and diamond leaded window patterns are available. We also provide customised designs to suit your home. We supply & install replacement timber and PVC sliding sash windows for new build projects and replacing existing windows in Oxford. 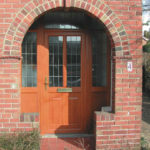 Offering a wide range of profiles to suit each property design and era. 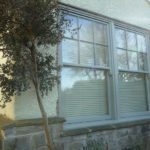 If you do not own a listed property but desire the natural look of timber windows, there is an alternative. If you do not have a planning restriction to fit timber we have an excellent alternative for clients in Oxford. We offer a bespoke timber window available in European Redwood, Hardwood or Oak. 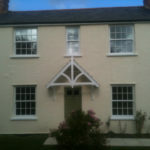 We can duplicate any style & period of window in flush & storm casements. Available in any BS or British RAL colour. Aluminium is a great material for replacing period steel critical windows, for creating a modern contemporary look or if you want a slimmer window frame with more glass area. Perfect for homes in Oxford. Secondary glazing has stood the test of time and remains the best form of insulation for homes, offices, public and private sector buildings against heat loss, draughts and noise intrusion.